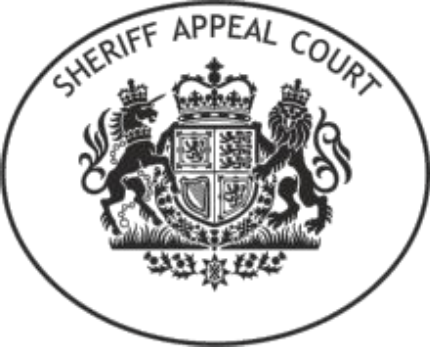 The Sheriff Appeal Court ruled that the sheriff had sufficient material, in the absence of the mother’s evidence, to make findings in fact which satisfied the threshold test and justified the granting of the petition to adopt the one-year-old baby. Sheriff Principal Ian Abercrombie QC, sitting with Sheriff Principal Duncan Murray and Appeal Sheriff Nigel Ross, heard that the child “A” had been subject to compulsory measures of case since birth, and that the local authority petitioner Stirling Council had sought a permanence order with authority to adopt, which was granted in September 2018. The appellant mother “LG” did not lodge a form of response to the petition or engage at any stage of the sheriff court proceedings. However, she attributed her failure to participate to having suffered a serious assault and being afraid to enter the area to consult with solicitors. The appellant, who had a history of mental health problems, also claimed to be in ill health, but her claims were not vouched. The respondent lodged a report from the allocated social worker, which gave a detailed account of the appellant’s history of drug and alcohol abuse and domestic violence dating from prior to A’s birth. The appellant, who had missed a total of 15 of 16 scheduled pre-natal hospital appointments in relation to A, had abused drugs during the pregnancy with A, and at birth the child A required treatment for substance withdrawal. Her four older children had all been removed from her care, the court was told. Although there were some positive subsequent engagements with supervised contacts, the appellant’s attendance then deteriorated. The appellant’s partner died of a drug overdose and the appellant herself relapsed into drug misuse, before forming another relationship involving drug abuse and domestic abuse. The last time the appellant exercised contact with A was 5 October 2017, and by early 2018 she had withdrawn from all supports. She was aware as early as April 2018 of the respondent’s proposals to seek a permanence order with authority for adoption, but did not engage further. The appellant told the reporter that she was aware that “she wished for the child to have the best possible outcome which would not be achieved in her care”. The sheriff recorded that the appellant told the social worker that adoption was the “best option” for the child, but gave contrary information to the curator ad litem that she intended to oppose the application, while accepting that she had not offered consistent care to A due to relapse into drug misuse. The sheriff was obliged, in the absence of a form of response, either to dispose of the case or make such other order as he considered appropriate, including granting the petition if sufficient material permitted him to find that the tests in section 84 of the Adoption and Children (Scotland) Act 2007 were satisfied. He duly granted the petition, but the mother argued that the sheriff had insufficient evidence to conclude that the threshold test had been met. However, the appeal sheriffs considered that the sheriff had “sufficient material” to justify granting the petition, and were not persuaded that he erred in his decision to do so. Delivering the opinion of the court, Appeal Sheriff Ross said: “The absence of any appearance or evidence from the appellant was, in these circumstances, entirely attributable to her own failures. She had the benefit of a support worker who did attend. She did not provide any evidence to the court that she was unable to attend hearings. No sufficient reason was advanced for her failure to submit a response form or to instruct appearance before the sheriff. “The absence of engagement with the court process was consistent with her chaotic lifestyle. At best, she had stated an intention to oppose the application, but had contradicted that view and in any event had not entered appearance. Her history showed occasional efforts to engage which quickly lapsed into failures. There was no material before the sheriff which showed, far less vouched, that this pattern of occasional effort and relapse had come to an end. No vouching was tendered on appeal. He added: “The sheriff therefore had available all the material facts relating to the appellant’s recent history and the history of the present application. The appellant had been given, and did not take, the opportunity to make representations, which was entirely consistent with her historical behaviour. There was ample material within the two reports on which to find that the statutory tests were satisfied. “The sheriff’s findings were based on the facts related to him, and did not depend on the opinion of any third party. That the material contains an opinion by a third party does not support the submission made by counsel. It is entirely legitimate for a reporter to make recommendations based on their investigation of the facts.